The first round of the National Cross Country series took riders into the heart of Jolivet - a serene green pocket of KwaZulu-Natal. A total of 250km’s were presented and included Natal’s trademark terrain like lush forests and sugar cane fields. It was multiple national champion Kenny Gilbert who kicked off the 2019 season with silverware for his PEPSON PLASTICS HUSQVARNA RACING team. 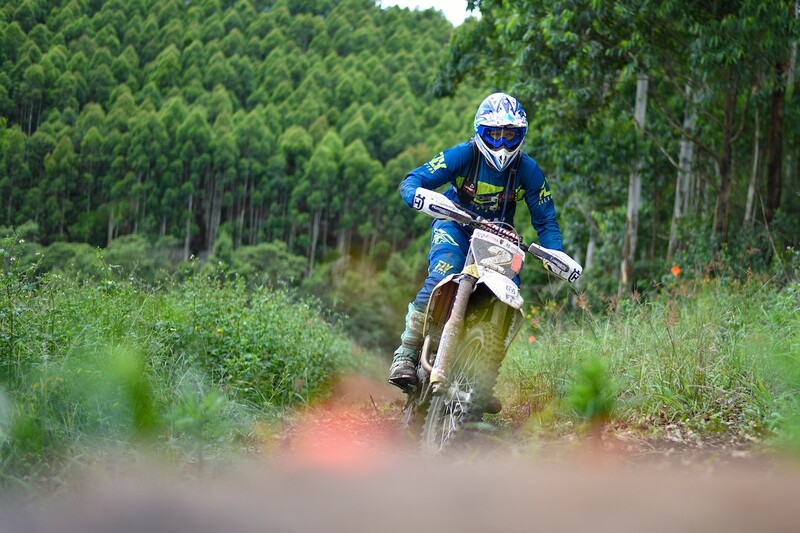 Unusual to National Cross Country events, the country’s top enduro specialists like Wade Young and Travis Teasdale were in amongst the mix of competitors. After an action-packed day of racing, Gilbert managed to step up to the OR1 challenge and secure third place overall. It was also a significant race for PEPSON PLASTICS HUSQVARNA RACING teammate Taki Bogiages. The rider suffered a major setback at the end of the 2018 when he crashed at a local cross country race in Gauteng. After four months of intensive rehab, the 22-year old was elated to reclaim his place at the start line. While an 8th place overall is a slow start to the season for Bogiages by his own high standards, he was relieved have even finished the event. “Today was my first time racing again – I’ve been dreaming about this day since I got injured and worked really hard to get here. I got the finish line with the best result that I possibly could. I’m not used to racing so hard yet, but I’m really positive about what lies ahead and can’t wait to be back where I want to be,” said Bogiages. Rounding out the team was Master’s rider Iain Pepper, who also eased back into racing after a recent operation. “All I wanted to do was finish today, especially after getting less training than I’d hoped to after the op. Fitness is definitely something that I have to work on going into the next round, but I’m confident that I’ll get back into the swing of things quickly,” said Pepper. Picture Caption: Kenny Gilbert at the 2019 National Cross Country season opener in Jolivet.